Dan Challender, Co-Chair of the IUCN SSC Pangolin Specialist Group and doctoral candidate studying the trade in pangolins in Asia at the Durrell Institute of Conservation and Ecology, University of Kent, put the dynamics of pangolin trade, the species’ principal threat in context. 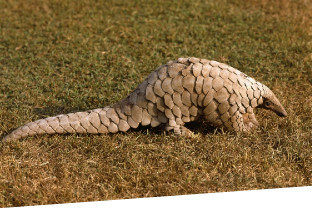 “Following huge declines in populations of the Chinese pangolin, most notably in China, trade has mainly involved the Sunda pangolin in recent years, which occurs across Southeast Asia, but pangolins are now being sourced from South Asia and as far as Africa to meet demand in East Asia.” “As such both reducing demand for the animals and identifying strongholds are absolutely crucial” he added. The conference also saw the status of the world’s pangolins re-assessed for the International Union for Conservation of Nature’s (IUCN) Red List of Threatened Species, part of the IUCN SSC Pangolin Specialist Group’s mandate as an IUCN advisory body. It was confirmed that populations of each species are in steep decline. The conference was made possible by the generous support of Wildlife Reserves Singapore, Wildlife Reserves Singapore Conservation Fund, the Zoological Society of London, San Antonio Zoo, the Houston Zoo, TRAFFIC and Ocean Park Conservation Foundation, Hong Kong.